We slept in this morning until 11am - that was Las Vegas time but actually 8am Honolulu time. 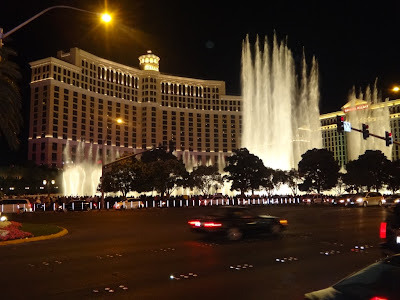 After doing all the formalities of securing our Thursday's Grand Canyon heliocopter ride and other telephone calls we ventured out of the Signature Resort and entered The Strip. This was all under cover, through the MGM Grand, casino and onto the other side of the Strip was about one kilometre walk. Our destination was the Fashion Show Mall on the northern end .... so we decided to catch a taxi. Cabs in Las Vegas are expensive. 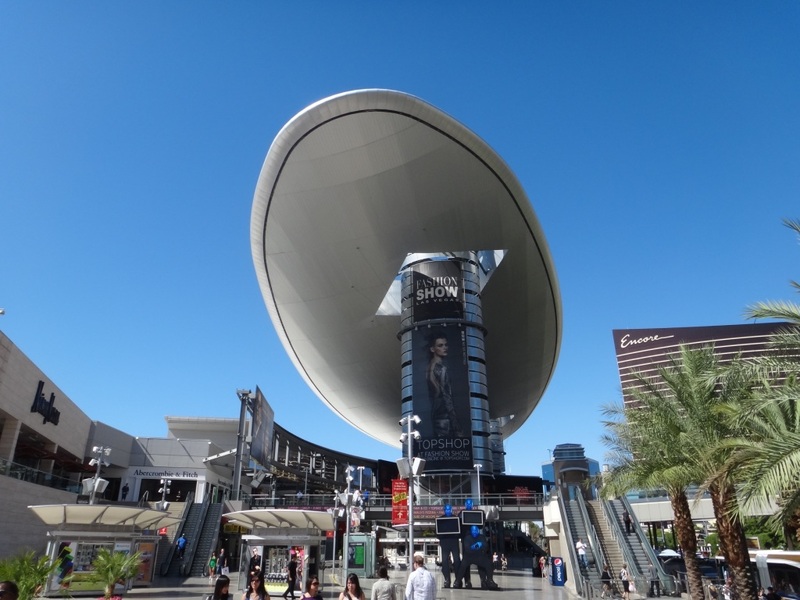 Once in this huge complex of women's (and men's) fashion shops and inevidently our wallets/purses became lighter we walked down the Strip. 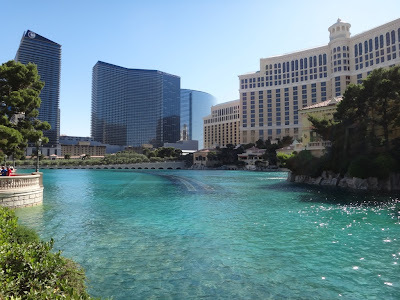 As you can see in the attached pictures we walked past Treasure Island, The Palazzo, Mirage, Caesars Palace, The Venetian, Harrah's, Casino Royale, Imperial Palace, Flamingo Hilton, Bally's, Paris, Planet Hollywood and Bellagio. THe walk was about four kilometers long and that was only the centre portion!! We did find Tiffany's ...and bought jewellery for our daughter Carol - she should be glad to see us on our return. After throwing our newly purchased clothes in our hotel room we took another taxi to the southern end of the Strip to the Las Vegas Outlet Centre. It was here that Anne found shoes that fit her. Also she ensured that her suitcase be supplied with more clothes. Bloody women's shopping is the pits - I'll try this on.............it doesn't fit.......it doesn't go with this......and so on. We blokes just go in for the kill, take the item and pay for it without ado - so simple, however retail therapy for women is a strange pastime!!!!!! 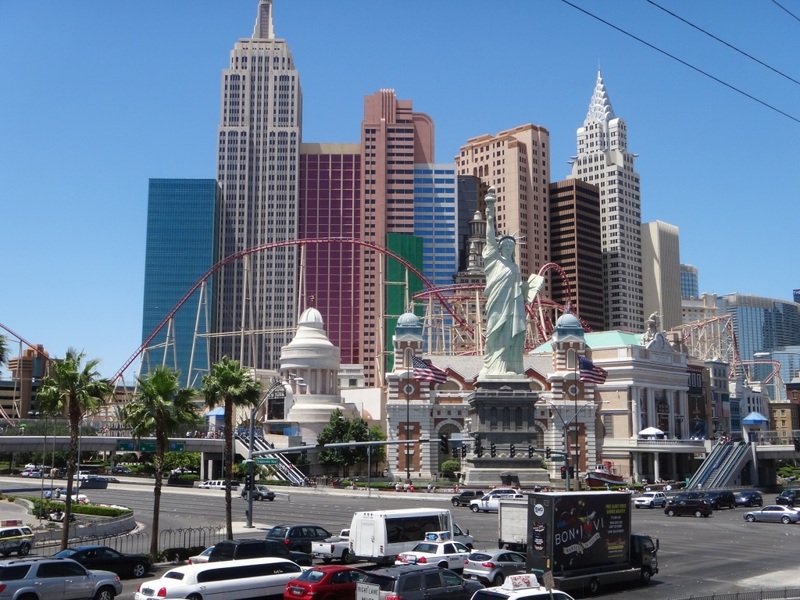 Tomorrow is a visit to the Stratosphere and grrrrrrrr....near the Las Vegas Premium Outlets - more bloody shopping. At 8pm there is a ballroom dance venue nearby which we may invade - depends how we feel. Lastly the two bottom photographs is the Bellagio - one in the daylight and the other at night where the waterworks are in full bloom. I heard a remark from one of the tour guides back in Hawaii - many drivers are like their state flower - bloomin' idiots. Ta for now.